I’m pleased to announce that this month marks the release of my book, Rethinking America’s Highways, published by the University of Chicago Press. More than 40 express toll lane projects are now in operation in large U.S. metro areas, bringing welcome relief from peak-period congestion. But a serious misconception about general-purpose (GP) lanes and express toll lanes (ETLs) threatens the relatively new ETLs on I-405 in the Seattle area and the nearly-finished ETLs on I-77 in the Charlotte area. 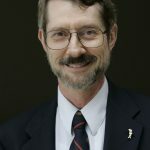 In Charlotte, opponents of the express lanes cite an “affidavit” submitted by a retired civil engineering professor which claims that opening the new ETLs on I-77 as GP lanes would permit 70 mph free-flowing traffic for the next 50 years, leading opponents to argue that the new lanes should be opened as GP lanes instead—or at least with one of the two lanes each way as GP instead of ETL. In Seattle, opponents still argue that the new ETLs on I-405 have “failed” because there is so much demand to use them that they do not quite meet the federal standard of at least 45 mph average speed during peak periods. The only reason this occurs is a politically imposed cap on toll rates, which means more people crowd into the ETLs during the busiest peak than would do so at a higher price. An April report by Washington Policy Center claimed that converting one of the two ETLs each way to a GP lane would increase speeds in the GP lanes and hence reduce demand for the remaining ETL. These assertions misunderstand the backward-bending speed/flow curve well-known to traffic engineers. As volume increases in a traffic lane beyond its maximum throughput capacity, traffic flow becomes unstable and drops into stop-and-go congestion. When that takes place, both speed and throughput (vehicles/lane/hour) decrease significantly. The only known way to prevent this in a traffic lane is to use variable pricing to limit the volume to an amount compatible with free-flow travel at some target speed (45 mph, 50 mph, or whatever the DOT selects). AM travel speeds in the corridor would be up to 27 percent less for current GP lane users and up to 39 percent less for current ETL users. PM travel speeds would be up to 22 percent less for current GP lane users and up to 27 percent less for current ETL users. Overall AM traffic volume in the corridor would be up to 7 percent less than at present, while PM volume would be up to 8 percent less. In other words, nearly all peak period users of I-95 in Miami would be made worse off by converting the express toll lanes to general-purpose lanes. The report is posted here (pdf). Washington State DOT has also done computer modeling. I-405 project manager Kim Henry explains that they compared I-5 (four GP lanes and one HOV lane each way) with I-405 south of Bothell (three GP lanes and two ETLs each way). They found that I-405 in its new configuration significantly out-performs I-5. “Same number of total lanes, same daily traffic volume, and yet peak hours on 405 are performing at a much better level than peak hours on I-5, where we are seeing a much higher level of congestion,” Henry told reporters. And in point of fact, both WSDOT and NCDOT are planning additional ETL capacity in those metro areas—because express toll lanes work. I’m pleased to announce that this month marks the release of my book, Rethinking America’s Highways, published by the University of Chicago Press. Its basic point is that the institutions of funding and managing highways that evolved in 20th century America are increasingly outdated. Instead, in coming decades we need to shift to a different institutional framework, like what we have long used for our other vital public utilities—electricity, natural gas, water supply, telecommunications, etc. This could not happen overnight, obviously, but the book suggests how the process can begin, building on capabilities and mechanisms that we already have—such as public toll agencies and long-term P3 toll concessions. Customers pay fees directly to the provider, rather than paying taxes to the government. Customers are charged for the kinds of services they receive and the amount they use, via a bill that makes all this transparent, compared with the opaque nature of the who-pays-for-what aspect of highways. Large capacity additions are selected based on return-on-investment, to provide better service to customers, rather than via political horse-trading. Large capacity additions are financed via the capital markets, rather than being mostly paid for out of annual cash-flow. A direct customer/provider relationship gives the provider both the incentive and the financial means to satisfy its customers. If this is the first time you have heard these points in connection with highways, the idea of changing our institutions that drastically may seem utopian. But the book points to numerous precedents in the highway field itself, including investor-owned toll motorways in Europe and increasingly in Latin America, Asia, and Australia. U.S. toll roads continue to perform far better, on average, than state-run highway systems, constrained as they are by tax funding and control by legislatures. The book also makes the point that the 20th-century status quo is not sustainable for much longer. Charging highway users per-gallon must give way to charging them per mile—but in making this major change, why not use it as the opportunity to rethink the overall governance and functioning of our major highway networks? The book suggests ways to begin a transition to the highway utility model and discusses other ongoing trends that will be supportive of this kind of institutional change. As a reader of this newsletter, you have been exposed to bits and pieces of these ideas over the past decade or so, but I have not previously put them all together, as I’ve done in this book. You can order the book at a 20 percent discount on the list price, by using the order form that accompanies the University of Chicago Press flyer on the book. The privately funded Brightline passenger rail service (on which I had a preview ride back in January) is now fully operational between Miami, Ft. Lauderdale, and West Palm Beach, thanks to the opening last month of its station in downtown Miami. The trains are operated by All Aboard Florida (AAF), a sister company of freight railroad Florida East Coast, using that railroad’s expanded right of way. This completes Phase 1 of what is planned as a two-phase project, the second phase of which is to extend the service to Orlando. NIMBY opponents in the counties north of West Palm Beach are still trying to stop Phase 2, via litigation and lobbying. They failed in the Florida legislature this spring, but have recruited a handful of Congress Members with their latest claim—that AAF is not eligible to use federally tax-exempt private activity bonds (PABs) for this project. 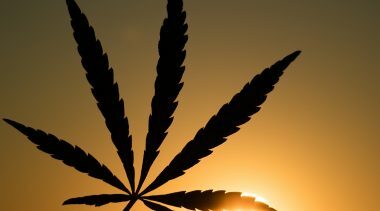 That question was debated at a hearing of the House Subcommittee on Government Operations in April and is being carried on further in pro and con letters to that subcommittee as well as to DOT Secretary Elaine Chao. Opponents have claimed that the legislation which authorizes PABs for surface transportation projects does not include rail projects. That legislation (SAFETEA-LU, enacted in 2005) said they could be used for highway and surface freight transfer facilities, but this term was defined to mean “any surface transportation project which receives federal assistance under title 23” of the U.S. code. Two points support the case for Brightline’s eligibility. First, PABs have already been used for passenger rail projects: the Eagle line in Denver and the Purple Line in Maryland. Second, the Brightline project received $9 million in federal Title 23 funds for Phase 1 highway/rail grade crossing improvements—monies available to any railroad for such purposes. Furthermore, AAF issued $600 million worth of DOT-authorized PABs for Phase 1 and has a DOT approval for $1.15 billion worth of PABs for Phase 2. 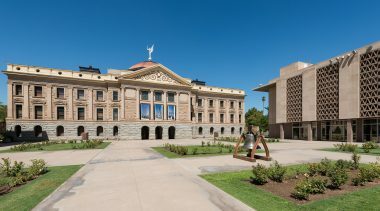 Opponents frequently conflate federal tax exemption on PABs with risk to federal taxpayers if the project were to fail. But PABs are not federal bonds; they are revenue bonds, backed solely by the projects the bonds finance. Should Brightline ultimately fail, it is the bond-buyers and the equity invested by AAF that would be at risk, not federal taxpayers. And if Brightline succeeds in turning a profit, it will pay federal and state taxes on those profits. Have you ever heard of FHWA’s “proprietary and patented products rule”? I hadn’t either, until chatting with former DOT Secretary Jim Burnley at a DC reception last month. He’s the co-author of a legal brief filed on behalf of the American Road & Transportation Builders Association (ARTBA) calling for the agency to drop the rule as a barrier to transportation innovation. Believe it or not, this rule—today embedded in 23 CFR 635.411—prohibits state contracting agencies from using federal funds for patented or proprietary materials, specifications, or processes, unless they are obtained via competitive bidding with “equally suitable” unpatented items. The rule dates to 1916, when the Department of Agriculture was in charge of newly authorized federal aid to highways, implementing the Federal Aid Road Act of 1916. The Rule appears to have been part of the Progressive Era attempt to replace favoritism and cronyism with fair competition. ARTBA’s brief points out, however, that the underlying Act never mentions proprietary or patented products; the Rule was the invention of Agriculture Dept. bureaucrats. Yet it has remained in force for more than a century, apparently now beloved by a handful of FHWA bureaucrats. The ARTBA brief makes a compelling set of arguments for scrapping the Rule. Our transportation system is entering an era of major change, and much new technology will include proprietary intellectual property. The Trump Administration and the various executive branch agencies are committed to rooting out and eliminating costly and counter-productive regulations, and this is certainly one. The brief cites a number of examples of highway innovations that cannot be purchased with federal funds, including movable barriers, a new kind of disc bearings for bridges, composite beams for bridges, etc. The Rule is also out of step with various attempts within the federal government to promote innovation, including general federal procurement rules that allow for sole-source procurement by federal agencies themselves when the item sought “is available only from a single source.” There are even programs within FHWA itself that actively encourage industry to develop proprietary and patented products. The proprietary and patented products rule is an anachronism, a barrier to innovation, and should be an embarrassment to the U.S. Department of Transportation. It is long overdue to be scrapped. This spring the already-serious problem of insufficient safe parking spaces for long-haul trucks has gotten significantly worse. As noted last issue, the new federal effort to seriously enforce federal Hours of Service (HOS) rules, thanks to electronic logbooks (ELDs), means thousands of drivers are desperate to find a safe place to park and sleep before their allowed on-road time expires. 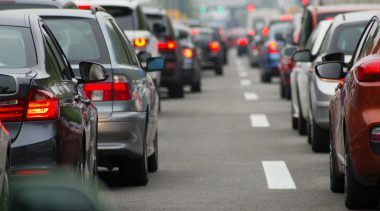 The American Transportation Research Institute, affiliated with the American Trucking Associations (ATA), reported in April that drivers now spend an average of an hour per day of drive time looking for a safe place to park. And during evening hours, ATRI found that 63 percent of drivers spend 15 minutes or longer looking for parking. State DOTs are trying to help. The Midwest Association of State Transportation Officials is launching a Truck Parking Information & Management System along nine high-volume freight corridors, due to be fully operational by summer 2019. Florida DOT has an in-state project of the same kind underway. But those efforts can only reduce search time to existing parking areas, some of which are miles from the Interstates that are this country’s most important truck corridors. Those Interstates are an underutilized resource. Nearly all have some “rest areas,” but those have only limited numbers of truck parking spaces and no services at all, except for vending machines. In hot or cold weather, a driver who parks there to sleep in his cab must keep the diesel engine running all night to provide heat or air conditioning, and cannot purchase food or fuel—or take a shower. Those amenities are lacking due to a federal law that bans “commercializing” Interstate highway rest areas. The ban is vociferously defended by the trade association NATSO, whose members include truck- stop chains, gas stations, and fast-food chains. They portray commercialization as “governments” competing unfairly with tax-paying businesses (their members) at or near (or not so near) off-ramps. There are many problems with NATSO’s position. First, they portray the situation as zero-sum—any truck-stop or service plaza added to a rest area on an Interstate would displace, one-for-one, a comparable business off the Interstate. But the situation trucking faces today is a desperate need for expansion of safe overnight truck parking and the amenities that should go with it. Those amenities include electrification, so that the driver need not keep the motor running all night to have air conditioning, restaurant and shower facilities, perhaps recreation (video games? ), refueling, and, in coming years, electric vehicle recharging, perhaps hydrogen refueling, etc. This should be a great business opportunity. Commercializing Interstate rest areas—initially to serve the growing needs of trucking—would seem to offer Pilot Flying J, Travel Centers of America, and other truck-stop chains an opportunity to work with state DOTs (and possibly private financiers) to convert nearly useless “rest areas” into oases for truckers. I don’t know how much clout the major truck-stop chains have within NATSO, but somebody there should be starting this conversation. Removing the federal ban will require getting legislation through Congress; that will be very difficult if both NATSO and ATA continue their current lobbying to maintain the status quo. But since the need is to expand capacity, perhaps there are transition measures that could make this change less threatening to the smaller NATSO members. What if Congress provided a 10-year transition period during which only companies that were NATSO members as of the date the law is changed could bid on contracts to operate at the commercialized Interstate rest areas? Seriously, can we start thinking outside the box on this problem? Despite rail transit being a 19th-century technology, many politicians view trains the same way that they view campaign contributors—you can never have enough of them. In order to provide a 20-minute travel time between downtown Chicago and O’Hare international airport, Mayor Rahm Emanuel issued a request for qualifications for companies to finance, build, and operate express service to O’Hare. Two consortia, Boring Company and O’Hare Express LLC, that responded to the RFQ were short-listed to submit proposals. Applicants must be able to build the project without taxpayer subsidies. The project must have two stations, one downtown and one at O’Hare. Travel times must be 20 minutes or less with headways (time between trains) of 15 minutes or less. Premium fares must be less than current ridesharing and taxi fares of $30 to $40. Finally, companies must explain how their system would interact with existing transit systems and the environment. Mayor Emmanuel is intrigued with Elon Musk’s Boring Company despite the fact that the team is the least experienced of the four teams that submitted their qualifications. Musk is proposing using high-velocity electromagnetic pods or sleds that could travel at speeds of up to 125 miles per hour. The pods would travel in steel tubes 11 feet in diameter either on the surface or underground. The prospect of reliable, high-speed train service is alluring. The lack of taxpayer subsidies for U.S. based rail transit would certainly be revolutionary. But there are several reasons to be cautious. First, while the Boring Company is working on pilot tunnels in Los Angeles and Maryland, Musk has yet to prove the technology viable. Many are skeptical that a 125 mph train would be feasible in an urban environment. Most engineers are skeptical that Musk’s approach can bore tunnels four times faster than today’s machines. The machine has to construct tunnel supports as it bores, haul soil to the surface, monitor for construction damage and keep track of all underground utility lines. And Musk’s proposed electromagnetic pods will not be cheap. The line is likely to cost billions of dollars to build. As of late April, Musk had raised $113 million for all of his proposed tunnel projects, but more than $100 million of that came from Musk himself. Obtaining land rights and environmental approval will be challenging. The tunnel or surface steel tubes would have to be constructed in an extraordinarily straight line for the train to operate at high speeds. All these challenges suggest the high-speed tunnel boring technology might need several years of fine-tuning. Even assuming the technology works, the city of Toronto offers a cautionary tale. Toronto recently built an express train line between Pearson International Airport and Union Station downtown. In order for the line to be financially viable, fares were $19-$27.50 depending on payment mechanism. However, the high fares caused ridership to be more than 100,000 passengers less than projections. As a result, the regional transportation authority, Metrolinx, had to take it over and subsidize the service. This cost taxpayers C$30 million last year alone. Since assuming control over operations, Metrolinx has made a number of changes. First, the agency lowered the one-way fare, originally ranging from $19.00 to $27.50 to a reduced fare of $9.25 to $12.35, an average reduction of $12.00 per ride. Second, it opened additional stations along the Union-Pearson route transitioning it from an express line to a more traditional heavy rail train service. Yet despite an increase in passengers, Metrolinx will have to subsidize each rider forever, at a staggering cost of $11 per rider. The actual Toronto train service is totally different from what was sold to taxpayers. Instead of providing a new service at no cost to taxpayers, the train is a drain on the public budget. Instead of providing high-speed rail service to the airport, the train is providing low-speed transit service to neighborhoods. Providing neighborhood service is not a bad thing, but it was not the intention of this project. Chicago boosters claim that their city is very different from Toronto. For one thing, Chicago has a bigger airport. O’Hare certainly is bigger but only half its passengers’ origin or destination is Chicago. The other half are transferring to a different plane at the airport. A person traveling from Omaha to Nashville via Chicago is not going to ride a train to downtown. Chicago leaders argue that their business district is bigger. Chicago’s business district is larger but most new employment in the region is in the suburbs. Further, Chicago does not have the high residential density and land use policies that make Toronto more conducive to transit service. The biggest challenge may be the routing of the train line through a very built-out environment. A Chicago airport express train might be viable. It can be dangerous to underestimate Elon Musk. However, city officials must ensure that the airport line pencils out. The city does not need another heavy rail line connecting downtown with the airport; it already has the Blue Line. Depending on the cost and public funding needed for the express train, it might be a better use of resources to improve the existing Blue Line. Over the last few months I’ve come across a number of articles indicating that some forward-thinking transportation agencies are contemplating AV-only lanes. 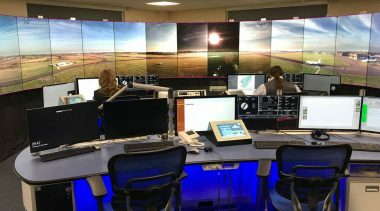 One of the first to raise this idea was Wisconsin DOT, as part of the excitement over the planned $10 billion Foxconn plant to be build adjacent to I-94, which runs north-south between Milwaukee and the Illinois border Another would-be early mover is Colorado DOT, which has been cited in news reports as contemplating an AV-only lane on an expanded C-470. 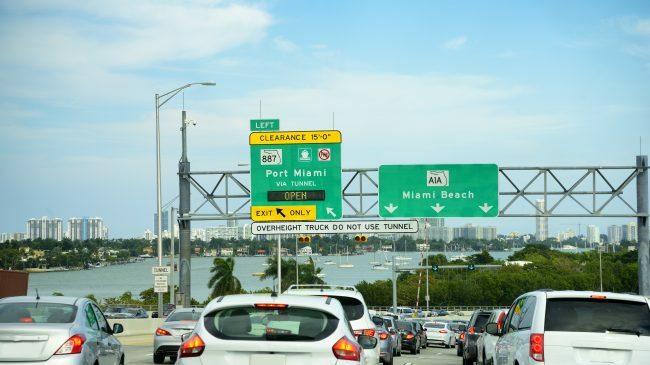 There has also been talk in Miami about using the last remaining space for an additional lane on the congested Dolphin Expressway toll road for some kind of “technology lane”—when the real need is for the congestion relief that an express toll lane could bring. My advice to friends and colleagues in these agencies is: get a grip. Your most valuable and scarce resource is lanes in highly congested corridors. If you use them for anything other than effective congestion reduction, you will be doing your customers a great disservice. I say this despite being very aware of the safety and potential traffic benefits of AVs. But we are nowhere near as close enough to large-scale production and sales of truly autonomous vehicles to make it worthwhile to convert any lane—GP or ETL—to AV-only. That said, since ETLs are generally better-monitored and less-congested than GP lanes, they are a better corridor for testing AVs than the more-chaotic GP lanes. And once Level 4 AVs that are capable of operating safely in mixed traffic are on the market, it might be prudent to limit their initial use during peak periods to ETLs, where they exist. Managed lanes [ETLs] for CACC can improve traffic conditions in certain cases, when CACC market penetration and number of managed lanes are well-matched. My point is not to emphasize those particular simulation results (which are, of course, affected by many assumptions) but to illustrate that the transition period between today’s non-AV world and an eventual world where AVs (and possibly CACC) are ubiquitous is likely to be longer and more difficult than we have imagined. Let’s not make premature decisions about replacing ETLs with AV lanes. Express Lanes on Toll Road Open in Florida. The first variably priced express toll lanes on a toll road in the 50 U.S. states were completed and opened to traffic in May on the Veterans Expressway in the Tampa, Florida metro area. This is one of a number of toll roads in the Florida Turnpike system. 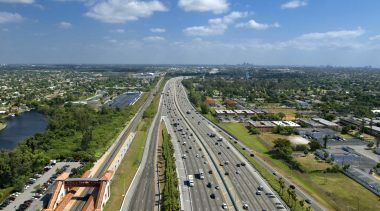 Other express lanes are under constructions on the Turnpike’s Homestead Extension in southern Miami-Dade County and in the planning process on the Beachline West in Orlando and the Turnpike main line in Palm Beach County. The first such express lanes on a U.S. toll road opened in 2012 on PR 22 in San Juan, Puerto Rico. Maryland Offers E-ZPass Transponders at No Charge. Last month the Maryland Transportation Authority announced that E-ZPass transponders will henceforth be available without charge. That’s a good deal for those who drive on tolled roadways and bridges, but also a very smart move for MDTA. That’s because the agency’s cost of toll collection is minimal for those who open a pre-paid toll account and use transponders, rather than either paying tolls in cash or needing to be billed (as with toll-by-plate billing, based on an image of the license plate). Most toll facility operators charge lower toll rates for transponder account-holders, but fail to charge enough to other customers to fully cover the costs of collecting tolls by other means. Second Span of $1.2 Billion Goethals Bridge Opens. The second (final) span of the Goethals Bridge connecting Staten Island to New Jersey opened last month. The $1.2 billion DBFOM P3 project was completed on-time and on-budget, financed by tolls being collected by the Port Authority of New York & New Jersey, which will compensate the P3 developer/operator via availability payments. The new bridge has three 12-ft. lanes each direction, compared with only two 10-ft. lanes on the old bridge. New Report Details Private Transportation Finance. Over the past decade, investors have placed over $400 billion with infrastructure investment funds that seek to invest equity in major infrastructure, including transportation. Reason Foundation’s latest report on this phenomenon reviews the major infrastructure funds, documents the growing role of public pension funds, zeroes in on investments in U.S. P3 transportation infrastructure, and assesses the 2018 White House infrastructure proposal and its implications for transportation investment. Missing Link in Denver Beltway Is Toll-Feasible. The Jefferson Parkway Public Highway Authority last month announced that a traffic and revenue study by CDM Smith has found that this long-planned missing link in the Denver 470 beltway would attract enough traffic to permit toll revenue bond financing. JPPHA announced that its next step will be to issue a Request for Qualifications for potential private sector teams that would design/build/finance/operate/maintain the long-planned toll road as a P3 concession. The tentative schedule would select the private partner by June 2019 with construction beginning in 2020. New Permeable Pavement Wins Award. The International Roads Federation has given an award to a new kind of permeable pavement that combines water permeability, load-bearing, water storage, and carbon and dust-capture properties. Called JW Eco-Technology, the system features tiny holes in the pavement funneling water to plastic pipes, a gravel bed, and a water storage tank. An article in World Highways (March 2018) says the system is in use in “hundreds of towns across Asia.” No information was provided on the cost of this pavement, however. London Seeking P3 Developers for $1.4 Billion Thames River Tunnel. Transport for London has received approval to seek P3 developers for a $1.4 billion highway tunnel under the River Thames between Greenwich and Silvertown. Three teams qualified last year for the project, but after one dropped out, the two contenders are led by Cintra and Hochtief. The DBFOM project will construct twin bored tunnels, of 10.9-meter diameter and a length of 1.4 km. With the preferred bidder to be selected this year, construction is planned to begin in 2019, with the opening in 2023. New Inter-City Bus Firm Opens U.S. Headquarters in Los Angeles. FlixBus, which operates successful inter-city bus service to and from Berlin, London, and Paris, is launching U.S. service, beginning in Los Angeles. Initial routes from L.A. include San Diego, Las Vegas, Phoenix, and Tucson. FlixBus, launched in 2013, has become the largest inter-city bus company in Europe, having served more than 100 million passengers there, to date. Competitors already in the U.S. market include Bolt, Greyhound, and MegaBus. Resale Value of Electric Vehicles Less Than Conventional Ones. A new study from the University of Michigan examined the comparative resale value of battery-electric vehicles (BEVs), plug-in hybrid vehicles (PHEVs), and conventional internal combustion engine (ICE) vehicles. On an unsubsidized basis, “both types of [electric vehicles] lose resale value faster than comparable ICE vehicles,” according to the report’s summary. However, after taking into account federal tax rebates, PHEVs retain resale value as well as ICEs (though BEVs do not). Report No. SWT-2018-4 is available via http://www.umich.edu/~umtriswt. Tolling Tradeoffs Summarized in New Brief. CDM Smith has released an informative summary of the tradeoffs involved in using toll financing for highway projects (“To Toll or Not to Toll: Weighing the Tradeoffs”). It lists and explains the positives, challenges and critiques, and “issues caught in the middle of the road.” The brief is adapted from a forthcoming paper by Ronald Davis, Yogesh Patel, Chris Mwalwanda, and Ed Regan, “The Tradeoffs of Tolling Untolled Roads,” to be published in the Transportation Research Board’s journal Transportation Research Record. Politicized Electric Bus Procurement in Los Angeles. Reporter Paige St. John published a detailed expose (May 20th) of the politics by which Chinese electric bus company BYD Ltd. has won large-scale contracts to produce and deliver electric buses to transit agencies in greater Los Angeles. Over a nine-year period, the politically well-connected company has won subsidies and contracts worth more than $330 million—despite a track record of poor performance and mechanical problems with its electric buses. Read “Bumpy Ride for Region’s Electric-Bus Campaign: Stalls, Stops and Breakdowns,” on the Los Angeles Times website, for all the gory details. Chinese Company Seeks Port of Long Beach Terminal. Cosco Shipping Holdings Company, a Chinese state-owned enterprise, last year reached an agreement to buy Orient Overseas International, the company that holds a major terminal concession at the Port of Long Beach, California. Due to Cosco’s Chinese ownership, the acquisition is up for review by the federal government’s Committee on Foreign Investment in the U.S. (CFIUS). Recently, the Canadian government stopped the acquisition of Aecon Group by China Communications Construction Co., 63 percent owned by the Chinese government, on national security grounds. Malaysia Vetoes $25 Billion High-Speed Rail Link to Singapore. The new reformist government of Malaysia has pulled the plug on a $25 billion, 350 km high-speed rail link between Kuala Lumpur and Singapore. Finance Minister Lim Guan Eng cited the long-term costs to which the government would be committed, for a project that would be far from self-supporting from fares. The project was to have been a DBFOM P3 concession, based on availability payments that would have to be paid to the developer/operator regardless of usage or fare revenues. The decision is part of an overall review of “unnecessary projects” committed to by the previous regime. U.S. EV Charging Points to Increase. The United States had 112,000 gas stations in operation as of 2015, but according to University of Michigan researchers, there are only 16,000 public EV charging stations in operation. That includes a bit over 8,000 proprietary Tesla Supercharger sites. But as part of its settlement with the federal government over diesel-emissions cheating, Volkswagen has agreed to install 2,800 public charging stations in 17 large metro areas by June 2019, under a project called Electrify America. But this expansion has two shortcomings. EV drivers will still be far short of the number of convenient gas stations that motorists take for granted. And the expected recharging time will be in the vicinity of 30 minutes—far more than the average of 7 minutes that people spend at gas stations. New FAQs on P3 Highway Projects. 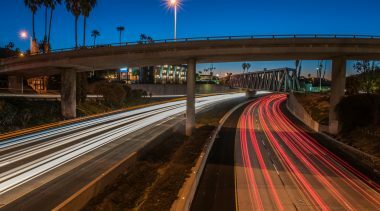 With more state DOTs moving into long-term public-private partnership procurement of major transportation projects, Reason Foundation has released an updated set of frequently asked questions on the subject, prepared by analysts Baruch Feigenbaum and Austill Stuart. https://reason.org/faq/frequently-asked-questions-highway-p3s.